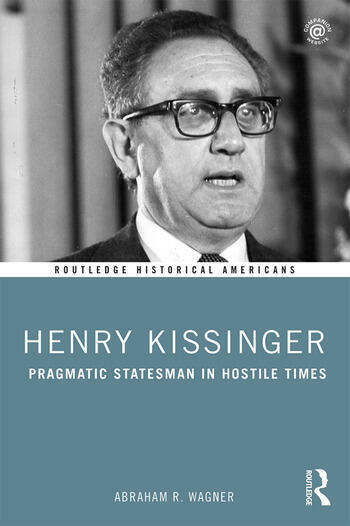 Henry Kissinger: Pragmatic Statesman in Hostile Times explores the influence of statesman Henry Kissinger in American foreign relations and national security during 1969 to 1977. Henry Kissinger arrived in the US as a young Jewish refugee and went on to serve as National Security Advisor and Secretary of State to Presidents Nixon and Ford. The consulting firm he founded has advised every US President since. In this book, Abraham R. Wagner reveals how Kissinger used his knowledge of history and international relations to advocate a realpolitik approach to U.S. foreign policy. Through eight selected primary source documents, Wagner tracks how Kissinger became an iconic figure in international relations that polarized opinion during 1969 to 1977, a critical and controversial period of American history. This book will be useful for students interested in American history and Security Studies, especially those with an interest in US international relations during the latter years of the war in Vietnam. 4: Military Policy and Defense of the "Grey Areas"
Abraham R. Wagner is Senior Fellow at the Center for Advanced Studies on Terrorism and serves as a consultant to several government agencies. He served in national security positions for over 35 years and has since taught at Columbia University, UCLA and NYU.